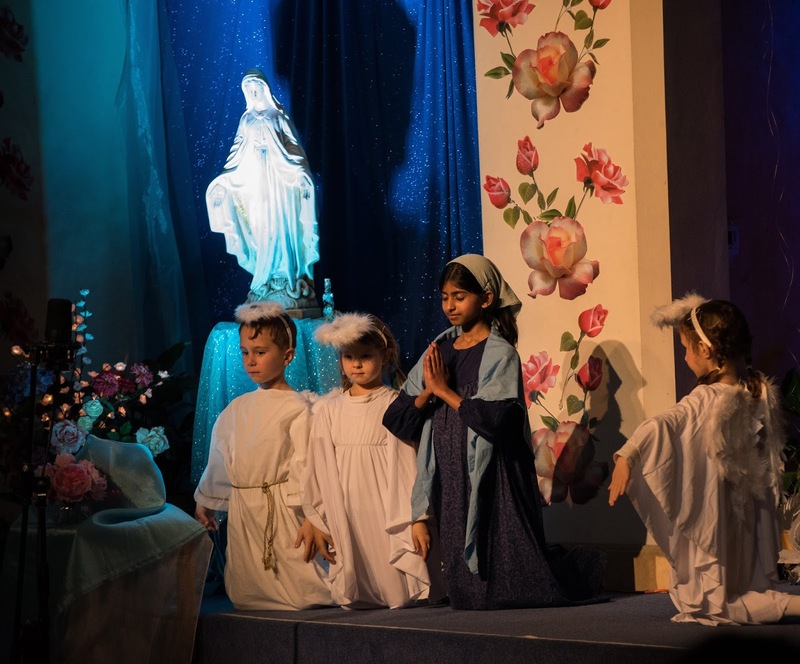 This year’s Living Wisdom School play was their 23rd annual production, presenting the life of Saint Bernadette of Lourdes. 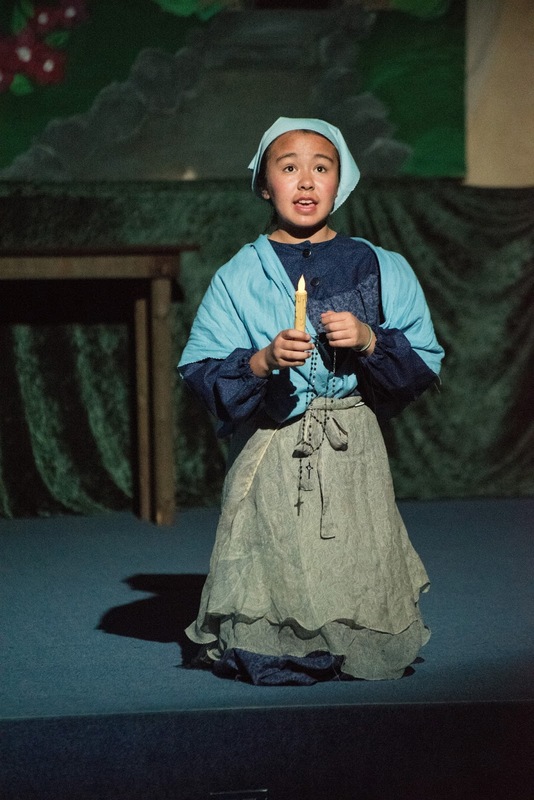 Bernadette was a poor, uneducated peasant girl, living in Lourdes in the 19th century. When only a teenager, she beheld a vision of a beautiful lady in—of all places—the town dump. Though no one else could see these visions, they continued for a few weeks, and even in the face of severe opposition and interrogation by city and church officials the holiness of these occurrences shown through. It’s a short story, and Bernadette spend much of the rest of her life in a convent, leaving very little “plot” on which to base a full play. But that simplicity allowed for a greater focus on Bernadette’s actual experiences of the Divine, and also illuminated one of the qualities that make the LWS plays into magical experiences themselves. 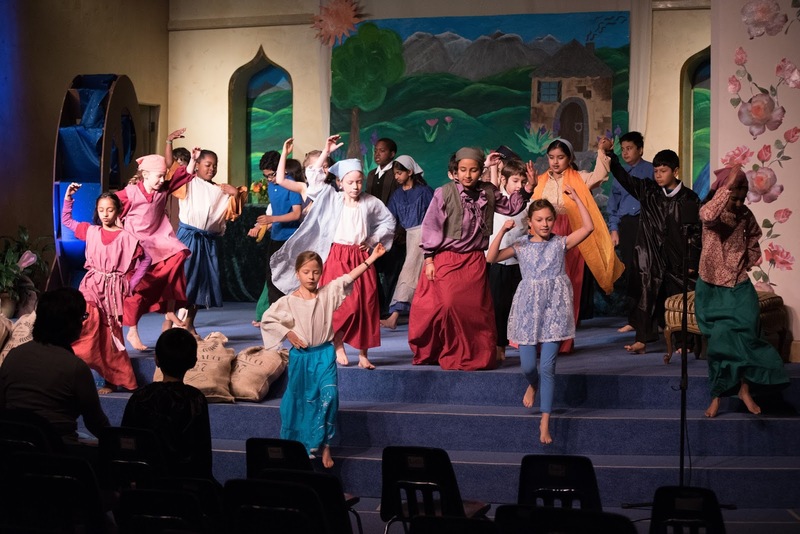 It’s hard not to love all the children on stage, and every single student in the school is involved, from kindergarten through 8th grade. The little ones are so adorable, the older ones so beautifully sincere, all of them putting everything they’ve got into their performances. 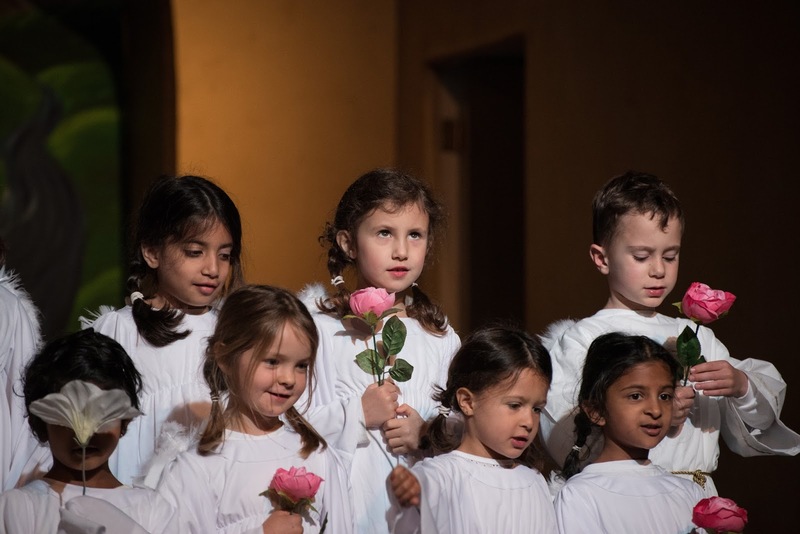 The opening of the heart that we strive for in all our devotional and meditation practices is a natural, automatic reaction with children. Keep an eye on the LWS Vimeo channel, where the video will be posted once it’s ready.